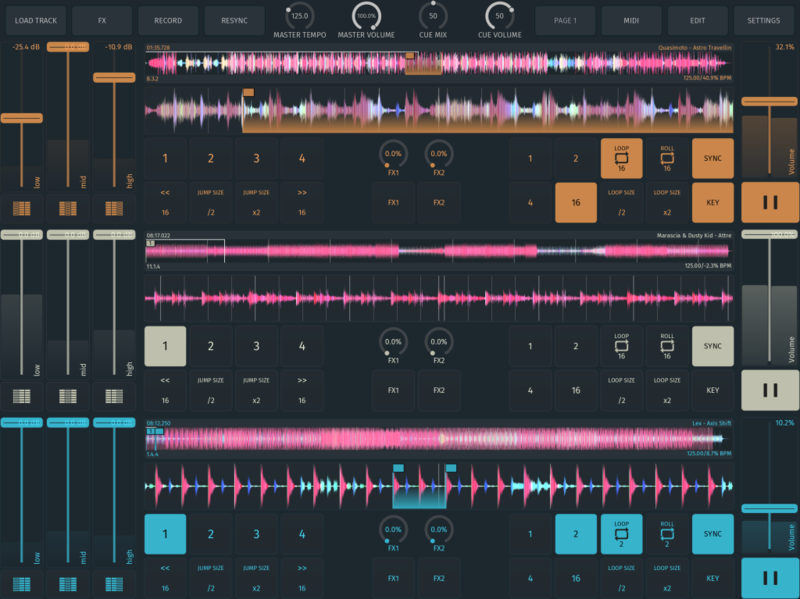 Soda for iOS is the first DJ app that is whatever you want it to be – with fully customizable interfaces, powerful specs, AU plug-ins, and Ableton Link. 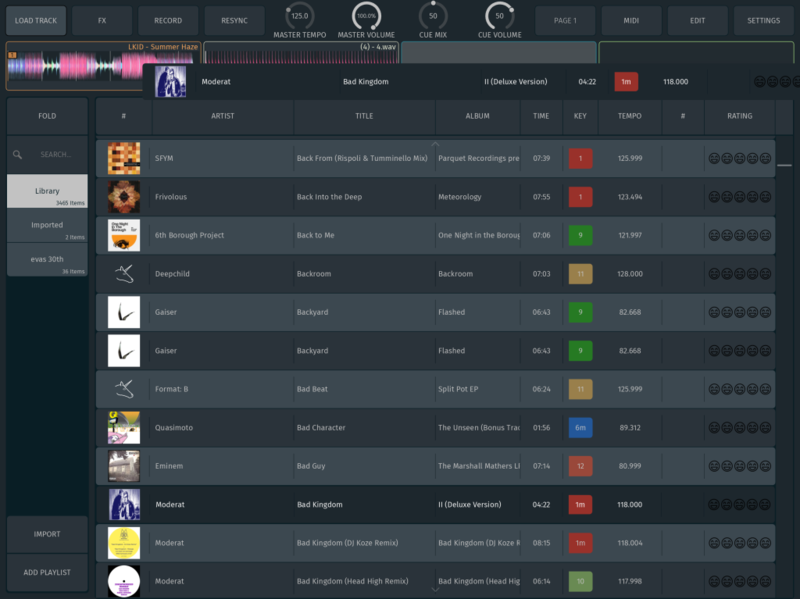 Let’s be honest: we’re not exactly at the high water mark for advanced DJ software. Even vinyl (not digital vinyl – like the stuff you hurt your back carrying) seems to be on a stronger upswing than DJ software. The Pioneer CDJ reigns supreme, to the extent that you can get laughed out of a club when you show up with a computer. And software, instead of seeming innovative, is looking awfully rigid. You’re generally stuck with pre-fabbed interfaces and hardware mappings. Innovation seems to be slowing. And then there’s the laptop itself – requiring a separate audio interface, driver configuration, and physical space in the booth that often isn’t there. A new DJ app called Soda goes a different direction – it’s built from the ground up to be a serious, flexible app, but on a mobile/touch platform. It comes from the developers of the Modstep sequencer/production tool and touchAble Ableton Live controller app (Berlin’s Zerodebug). And as a result, since those developers work… in my office – I’ve been watching it evolve from the very first sketch and have gotten some hands-on time with it. And much to my own surprise, it’s made me reconsider the value of touch DJ software at a time when I’d more or less written it off. The basic idea of Soda: let the user tailor the DJ software to their needs, instead of the other way around. First, how many decks do you want? You can choose from one to an absurd eight. How do you want to mix? You choose: switch off sync and use pitch, or turn sync on and let everything be automatic. Time stretch to keep things locked to key, or use pitch to change speed. And when sync is on, you can even choose what quantization you want for tracks – just like launch quantization of clips in Ableton Live. What should the screen look like? Vertical decks? Horizontal decks? Effects controls? Library? Instead of giving you a handful of pre-selected options, Soda ships with a complete interface editor, so you choose what you see and how, and every element on the screen can be moved and resized. Do you want to focus on the screen and touch? There’s a color waveform display, which you can cue and zoom with your fingers. Do you prefer MIDI controller hardware? Every single element on-screen can be MIDI mapped, opening up endless custom MIDI configurations. Effects work more the way they do in traditional production tools. You get two send effects chains, with five internal effects (Delay, Reverb, Phaser, Flanger, EQ 3) and Audio Unit support (AUv3). And you can browse both the iTunes music library and new Files support on iOS 11. Cue points and loop points are more powerful, too – you get 16 per deck and per track, you can name them, and cue points can be both cue points and work for loops. 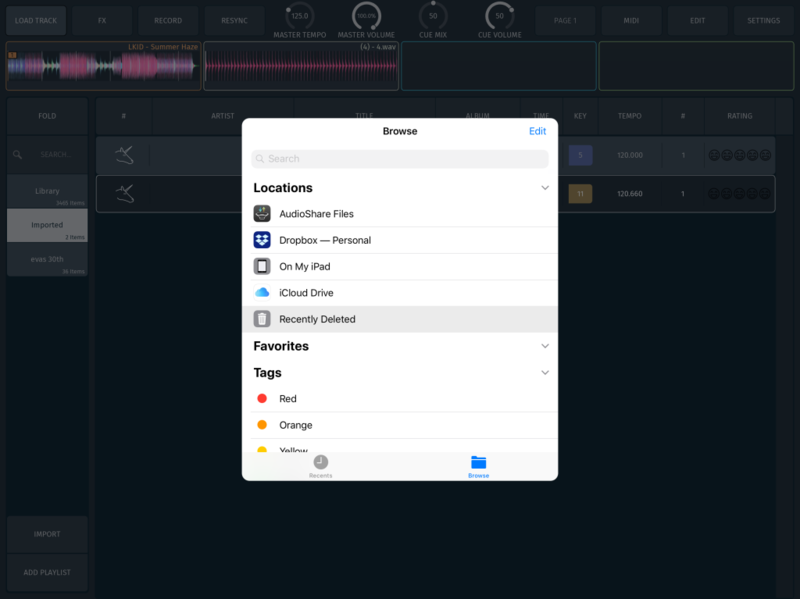 From there, you have all the features you’d expect – recording, playlist management, key and BPM detection, compatibility with all iOS-compatible (Core Audio/Core MIDI) audio and MIDI devices, cueing, and split cable support (in case you don’t have an audio interface for separate cueing). But let’s back up: this is generally more powerful than a lot of desktop DJ software available now. 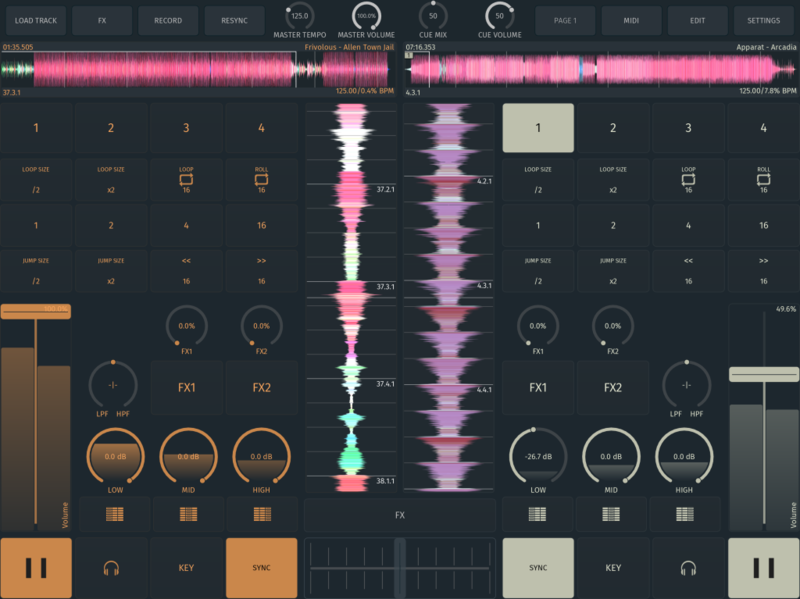 Certainly, it bests the deck and cue capabilities of leading tools Serato and TRAKTOR, and that’s before you get into the interface customization capabilities. Here’s the key: endless customization of the UI, and modules for decks, effects, and more. On-the-go prep and mixing. For one, you’ve finally got an ideal mobile app for preparing music and practicing on the road. It’s also ideal for that situation where someone asks you for a DJ mix and… you’re not near decks. You get an interface that’s tremendously customizable, and the ability to differentiate that mix by adding effects and the like. Plus, while you can’t sync cue points this way, iTunes support means you can sync libraries with a desktop machine to bring into Rekordbox (for use with CDJs) or other DJ software (if you must). Mobile computer replacement for DJing. Laptops are awkward in a booth, especially if the DJ software maker (cough) locks you into unwieldy, big controllers. But an iPad or Windows tablet is far easier. And you could pair Soda with some compact DJ controllers, like Faderfox. Hybrid sets. Here, Soda really excels. The flexibility with decks and audio effect support make Soda a powerful DJ add-on. And Ableton Link support means you can wirelessly sync to live sets on a laptop running Ableton Live … or a laptop running Reason, or an iPad running Modstep, or whatever. 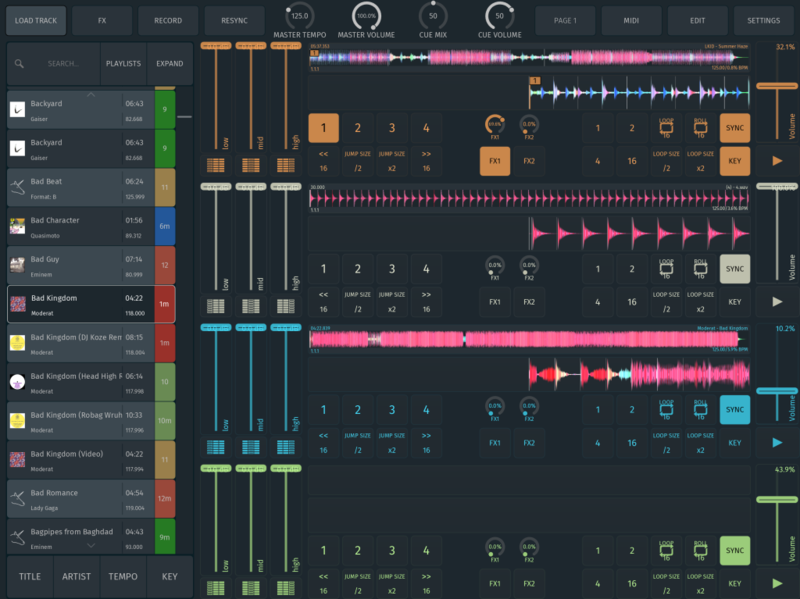 There’s no MIDI clock support for running Soda alongside, say, an Elektron Octatrack, but developers say that should appear in an update soon. Live sets and sampling. Of course, who says this is really even a “DJ app” in the conventional sense? With all that loop and name-able cue support, eight decks, and effects, you could use Soda with stems or backing tracks for your live set, or think of the “decks” as samplers. 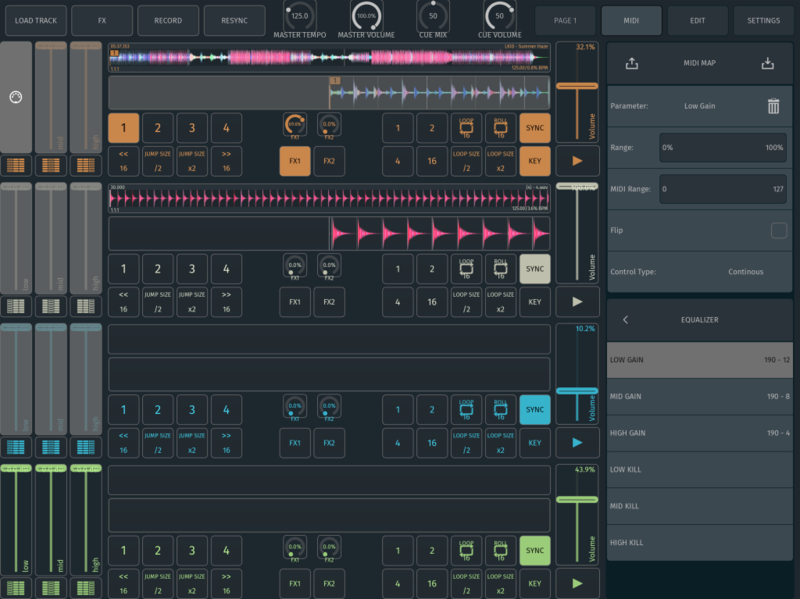 It could be an ideal production tool on iOS. The iPad should be a great platform for this app, particularly with the rich app and effect ecosystem there. But if you prefer Windows, Soda won’t necessarily be wedded to iOS forever. The core software is developed in C, and is largely platform agnostic, with Windows support planned (and already privately tested). As Microsoft improves Surface and other partners deliver tablets and hybrids, that could be a strong option. It’s doubly encouraging not to be locked to one vendor, given Apple’s recent shaky OS quality and frequent updates. Stay tuned – I’ll do a full hands-on / review soon. I’m also very interested in custom controller support, so we’ll talk about that soon – and possibly enlist some of the CDM community, if you’re interested. For now, the app is a measly US$9.99 – for an app that (at least in some categories) objectively bests alternatives costing many times that.